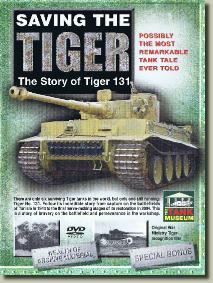 The most authoritative documentary about the Tiger 1 ever. With unique behind-the-scenes footage of The Tank Museum's Tiger 131. Stunning animations that reveal so much more about the most feared tank of WW2. Plus interviews with actual Tiger veterans and the British crews who fought against them. A wealth of pictures from The Tank Museum's archives. Dramatic reconstruction of Jo Ekins' destruction of three Tigers in one engagement. Special extras include the Kettenkrad and Stug III. This documentary tels the story of the competition among rival pistol designers to be the first to supply the world's military with self-loading pistols. And it shows how Hugo Borchardt's design, using a locking mechanism froma Smith & Wesson pistol of 1855, led to the iconic pistol we know as the Luger. 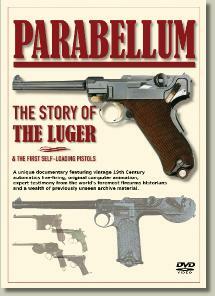 The DVD features live-firing of self-loading pistols over 110 years old and demonstrates the Old and New models, 7.65mm, 9mm, the Navy Luger, the Carbines, the LP08 and the Snail Drum magazine. The story of the restoration of the only operational Tiger 1 tank anywhere in the world.This documentary tracks the final months of the project as engineers race against time to restore the tank's 60 year-old Maybach engine to running order for The Tank Museum's Tankfest Show. 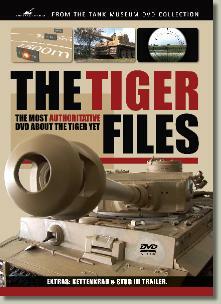 The DVD also contains fascuinating historical insight into the development of the Tiger and its impact onn the battlefield. Also unique WW2 footage of Tigers in action,plus interviews with veterans who fought against them.